The Finlandia University Mail Center is now open summer hours, including limited hours of 11 a.m. to 3 p.m. Mondays and Fridays. The mail center is located in the basement of Mannerheim Hall. This is the center of all mail-related services for campus, and is the main university switchboard. For more information on the Finlandia University Mail Center visit finlandia.edu/offices-services/mail-center/. 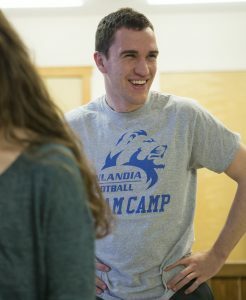 Finlandia University is committed to making a high quality, liberal arts-based, private education in Michigan’s Upper Peninsula as affordable as possible. We know the costs associated with higher education are a turn off for many students, but we also know the investment in education is a worthwhile one. It is with that in mind that we present The Most Affordable Finlandia University: An Affordability Guide for the FinnU Class of 2020. Finlandia University has hired Marie Bonenfant to the position of Coordinator of Student Accounts. Bonenfant is from Lake Linden, a Navy veteran and Finlandia alumnus. She started at Finlandia on Monday. The Academic Calendar at Finlandia University has received a minor update. It is now available on the Academic Calendar page, or by downloading the PDF through the link below. The calendar has been updated to include details on the new Summer Bridge Program at Finlandia, which begins Monday, June 27. Vital details for the program’s academic calendar are listed below. 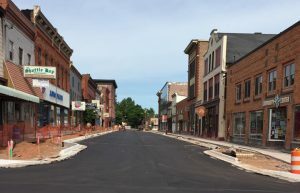 The City of Hancock will host the first Quincy Street Block Party on Thursday, June 23 with festivities running from 5 to 8 p.m. on the 100 block of Quincy Street in Downtown Hancock. 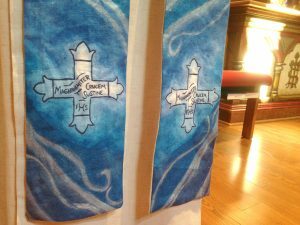 Traverse City-based fiber arts artist Emily Pierce (’08), recently completed work for Daughters of the King, Province V.
Chasuble and stole set for Daughters of the King, Province V. Non-seasonal painted linen vestments, lined in raw silk. 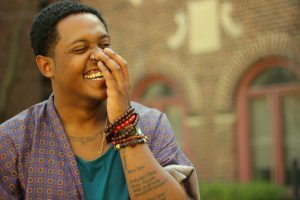 Up-and-coming poet Danez Smith will be the featured artist for the 2016-17 Finlandia University Campus Read. The Finlandia University community is invited to join in a service of rememberance, grief, and protest on Thursday, June 23 at 12 p.m. in the Chapel of St. Matthew. President Philip Johnson will lead the brief service of readings and meditation. This week Finlandia University President Philip Johnson announced that Laura Bianucci will be assuming the role of alumni contact for the university. Finlandia University is excited to welcome Kelly Dostaler to the university’s family as the new coordinator of admissions operations. Dostaler began her duties Monday, June 13. 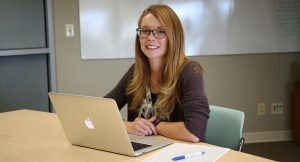 She is taking over the role previously held by Stacy Froese, who is taking over the role of accountant and accounts payable specialist in Finlandia’s business office.